« COC Cleveland meets at Stitch! Calling all quilters, sewers and crafters! 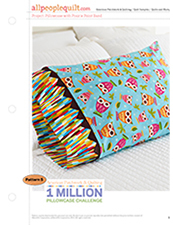 American Patchwork & Quilting is challenging you to join our efforts to Make a Pillowcase, Make a Difference. 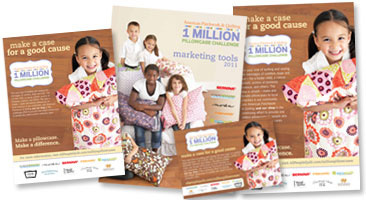 Every pillowcase can make a difference in your community. A pillowcase can provide comfort for a cancer patient, hope for a foster child, encouragement for a battered woman, or beauty for a nursing home resident. We’ll be meeting at Stitch Cleveland – this will be the last meeting at their current location. We’re looking forward to the new Stitch Cleveland, located right down the street! This entry was written by cleveland, posted on March 25, 2010 at 9:27 pm, filed under Cleveland and tagged craft, meeting. Bookmark the permalink. Follow any comments here with the RSS feed for this post. Post a comment or leave a trackback: Trackback URL.